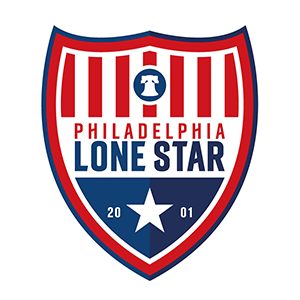 JLSFC-Liberia: Stars in Liberia Win Season Opener | Philadelphia Lone Star F.C. Goals from Darlington Zeegar and Ben Somda were enough as Junior Lone Star FC-Liberia started their second division qualification journey with a 2-1 victory against newly-promoted third division championship side Club Kosuno yesterday at the George Weah Technical Center in Careysburg District. The Stars in Liberia began the game with urgency, having most of the possession but they couldn’t find the back of the net. After a scoreless first half, coach Benjamin Davis’ side opened the scoring after 54 minutes through Darlington Zeegar. A long pass from Captain Willie Jones to the brilliant attacker, Ben Somda saw him releasing the ball to Darlington Zeegar who dispatched the ball at the back of the net to put the Stars ahead. Seven minutes later, the Stars in Liberia increased their lead to 2-0 with both Darlington Zeegar and Ben Somda involved. This time around, Zeegar was the provider while Somda was the goal scorer. Our Stars in Liberia had a scare in the closing stages of the match when Club Kosuno converted a penalty six minutes from time to reduce the deficit, but our defense remained firm for the 2-1 win. The Stars in Liberia are back in league action on Saturday as they battle J.B. Korkei FC at 12:00 PM GMT (8:00 AM EST) at the Alpha Old Timers Soccer Stadium in Paynesville.